Evilcyclist's Blog | Bikes, Books, and…. Another battle being waged with acceptance is with women. Openly welcomed into women’s rights demonstrations, the author discovers that most of the welcoming company would not join her in a Black Lives Matter demonstration. Men also present a challenge in other ways. The cry for power often lacks responsibility. There is a perpetuation of victim status instead of becoming masters of one’s destiny. There is a battle of color too; it is something Grace wishes never existed. Although she can ignore and forget what the world teaches, many cannot. Her use of Whyte throughout the poem is unusual in that is separate from “White Boys” and other general references to “white” people. Whyte is the society in which we live. It is the indoctrination of “whiteness” and then demanding that people act, dress, and perform in certain ways. Not only does the spelling difference separate the individuals from the system, but it can also relate to the Y chromosome. It is the white male, by a vast majority, that makes our laws, sends tax dollars to particular districts, and determines reproductive rights. 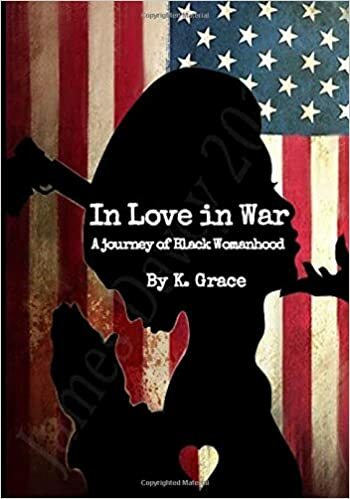 In Love In War is a powerful collection of poetry with a strong message that will apply to all readers. Her root message is love, and that love is at all levels from society down to individual needs. Grace is clear and eloquent in her writing and even as a middle-aged, white, male I can see and agree with her arguments. There is a cry for all sides to recognize that there is a problem that must be resolved. well, daddy’s, mansion, his james brown conk cool, his funky country on radials, power windows and doors a working class music. Lansana provides the reader with a snapshot of America that few chose to look at or look at with any pride. It is, however, more real than the American Dream and lives everywhere. It may look different or be explained away but it exists and evolves with time. 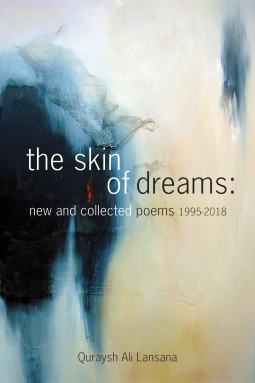 An outstanding collection of American poetry. Summary: Dementia is a degenerative disease that can go for years without being diagnosed. Patients often have a long life ahead with a declining ability to take care of themselves. The decline takes many forms and increases in severity with time. From the inability to control behaviors to the failure to control their body, the disease is devastating. The personal needs of the patent are essential but also the needs of the caregiver must be considered. 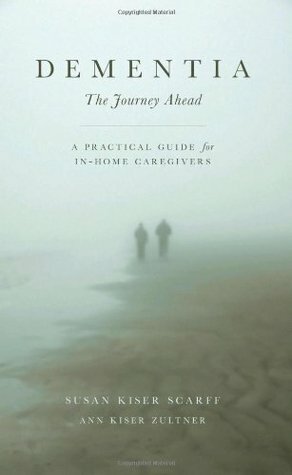 Dementia: The Journey Ahead: A Practical Guide for In-Home Caregivers by Susan Kiser Scarff and Ann Kiser Zultner is an informative manual in caring for those who have developed dementia. What makes this different than other books on the subject is that it is deeply personal and not a clinical reference guide. 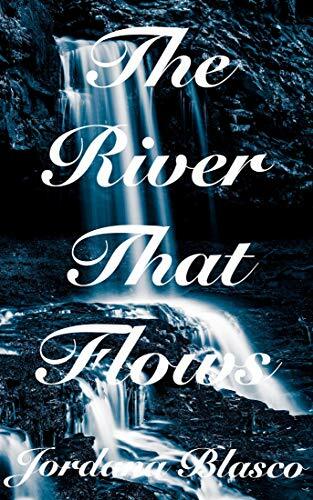 The poetry of Virginia Pasquarelli punctuates the chapters adding personal feeling to a serious topic. Scarff begins with the life of her husband, Red. Red was a former fighter pilot, an avid sailor, and an MBA graduate who started his own consulting and partnership investing corporation. A long successful marriage takes a sudden turn when Red develops dementia. The downward spiral of his cognitive abilities is documented and used to help teach others how to care for their loved ones. Gradual changes in behavior can lead to many difficulties and may not be noticed until more advanced stages. Those affected, many times, do not realize they are suffering from the disease and will need to be protected from themselves. Many still drive and go out on their own, and there are plenty of news stories and Silver Alerts to support that. Behavior alone in public may be mistaken for drunkenness, drug use, or aggressiveness. The book covers ways to protect the safety of a loved one from physical dangers as well as recognizing the early signs of dementia. Scarff and Zultner provide the reader with a wealth of helpful information from practical daily advice to resources on support groups. Legal and financial considerations are explained as well as what to look for in long term care facilities. Although neither has a medical background, they do provide information on selecting a doctor and gaining proper healthcare. Appendixes provide essential and detailed information. The importance of the author’s input makes the subject of homecare personal and relatable to all readers. Journeys: An Exploration of Being by Victoria A. Carella is a collection of traditional poetry. Carella is a Mystic, Master Shaman, master of human consciousness, Master Medicine Woman, transformational teacher, visionary, artist, author, poet, and gardener. The poem, “Mainstay,” continues with a morphing, talking cat which becomes a clown and an angel which reminded me a bit of Dante. Rather than purely divinely inspiration, the poet does mention mushrooms and the doors of perception in another poem. Either way, the story flows and the rhyme adds to the movement of the story. One must read the lines and not overemphasize the rhymes when reading. However, emphasizing or forcing the rhyme in reading tends to be distracting. Read naturally and allow the words to form the patterns. A later poem, perhaps autobiographical, tells the story of a girl becoming a woman and searching for her own path. As with many young adults drugs do come into play. Although the poet does not come out and say it directly, Patti Smith once said that she did not have a problem with drugs because she used drugs (marijuana) to create, not hide or turn off. Regardless, the woman in the poem becomes a little too dependent on drugs. She does turn things around and finds that the modern world was still filled with problems and threats even for an educated and conforming woman. She isolates herself and returns to the path she started on before drugs and worldly complications and becomes a master shaman. Carella accomplishes two things in this collection. First, she writes poetry that works in a traditional sense. Secondly, she writes a spiritual book which isn’t heavy-handed or filled with dogma. Both her poetry and narrative work well together. Neither one forces itself on the reader, but instead, seem to join and compliment each other to create a natural feeling and experience for the reader. Joseph Spuckler has a Masters Degree in International Relations and a deep appreciation for poetry and Modernist writers. He is a Marine Corps veteran and works as a mechanic devoting his off hours for motorcycling and reviewing poetry. Originally from Cleveland, he currently resides in Dallas. Summary: A short story or prelude to a longer story. A fantasy fable centered on the children of the moon. A woman fleeing from her abusive people stumbles upon a group of highly civilized people. Review: A new age fantasy that centers on power versus love and community, and how corruption can find its way into a Utopian society. Blasco also explores what happens when people don’t act and hope that evil will discover itself and correct its own mistakes. The language used in this tale is almost poetic and not only adds value to the story but also establishes a rich alternative world. 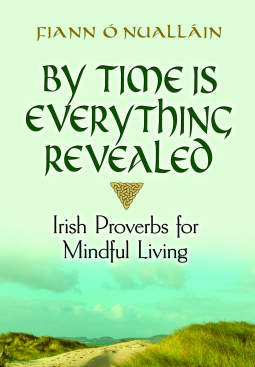 By Time Is Everything Revealed: Irish Proverbs for Mindful Living by Fiann Ó’Nualláin is a collection of Irish proverbs and Eastern philosophy. Although it does not sound like a very probable mix, O’Nuallain not only makes it work, he makes it seem natural. The first part of the book covers the author’s journey through Karate, Hinduism, and Buddhism in a very Western and Catholic country. This is not the path that many would take. Ó’Nualláin introduces the reader to meditation in a way that is easy to understand and not a foreign feeling. Mindfulness is explained in a very Western style, and even compassion seems more like common sense that those of an older generation practiced than something foreign. Sitting meditation is taking the time to connect to things around you rather than the dwelling on the tensions of life. The author uses washing dishes as a time of mindfulness. Something that has been in Western practice for quite some time is walking meditation. Thinkers like Nietzsche, Rousseau, Kant, and Thoreau used walking as a way to connect to creativity and remove oneself from the chaos of life. Walking should be done in solitude and used as a way to connect with the environment you. That means no phone or music. Some of the proverbs sound very familiar to English and American proverbs. “Need teaches a plan” and “Change is the breath of life” are familiar sounding. “Do good in return for evil” seems close to turning the other cheek. “The mountain is good mustard” and “A slow hound is often lucky” require a bit of thought. Ó’Nualláin explains the proverbs, translating them for Gaelic into English, and offers action points or practical examples, for each precept. There are also fifty-two proverbs, one for each week of the year, that can be studied and put into practice in an organized manner. By Time Is Everything Revealed is not only an instruction guide for the reader, it reveals that despite cultures that do not seem to have much in common, but there is also a commonality in mankind that goes beyond national or regional identities. This commonality is where By Time Is Everything Revealed dwells.